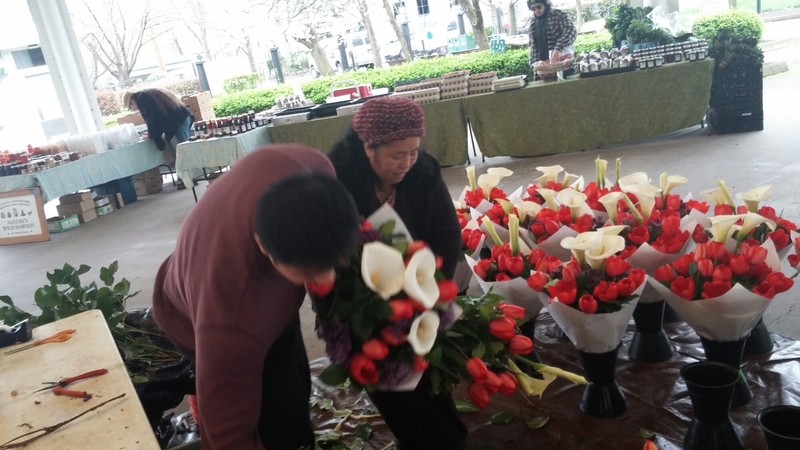 As the spring returns with birds, blossoms, and bursts of rain and sun, our vendors return with delightful eats and treats. 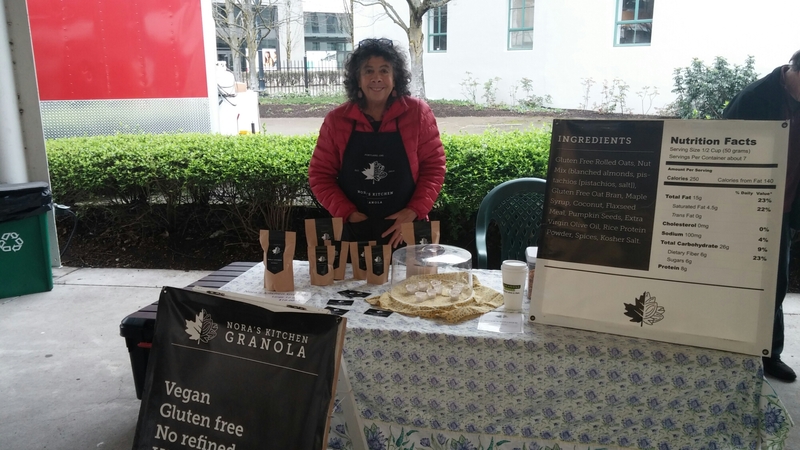 This week we welcome back Nora’s Kitchen Granola for the season, and they are excited to share their crunchy gluten free goodness with you. 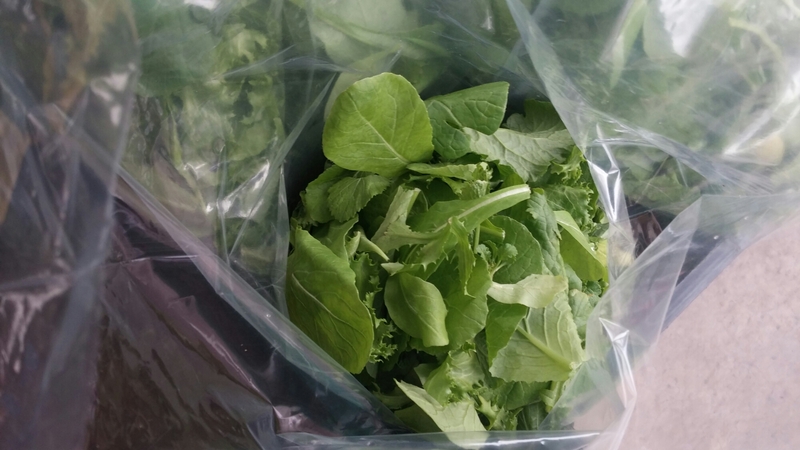 From the Greenville Farms think purple sprouting broccoli, salad mix, eggs, hazelnuts and more. The coffee is fresh to order with Mark at Intent Coffee Roasting, and the cookies, pies and cake from Sweetheart Bake Shop are still cooling from the oven. 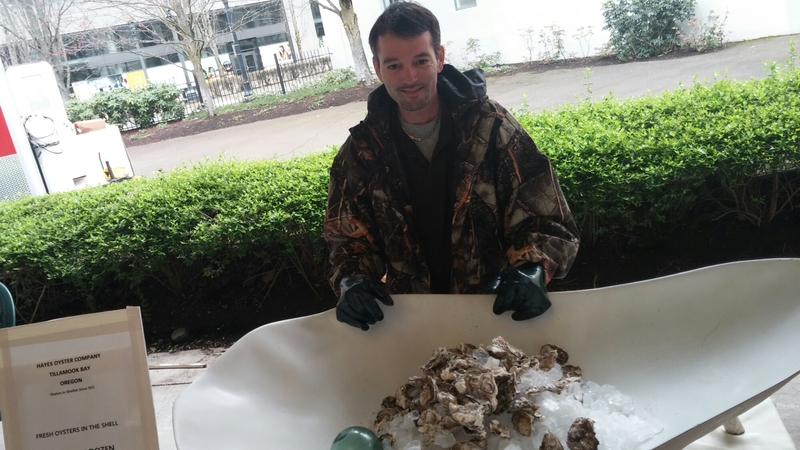 Flowers bouquets fresh cut from Xiong Farms, and oysters harvested fresh from Tillamook Bay by Hayes Oyster Co are perfect to bring home and brighten your day. We are here today from 10am -2pm, so join us and help spring return to the Lloyd Farmers Market.